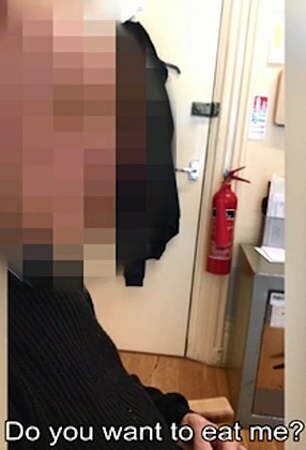 A sickening video has emerged of a member of staff at a care home mocking and emotionally abusing a dementia patient in her care. 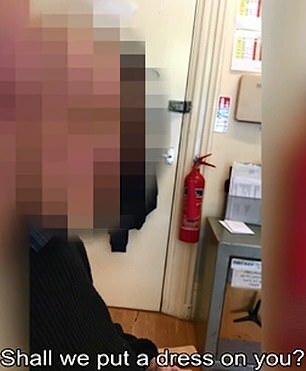 The footage shows the woman asking the vulnerable and confused man if he had gay tendencies, threatening to take his walking stick and put him in a frilly dress. She also urges him to sing a song containing the lyrics ‘I hate people/People are despicable creatures’ because Jeremy Corbyn ‘says you’ve got to’. And she then asks him about ‘that woman who was in your bed’ whom he could have ‘impregnated’. 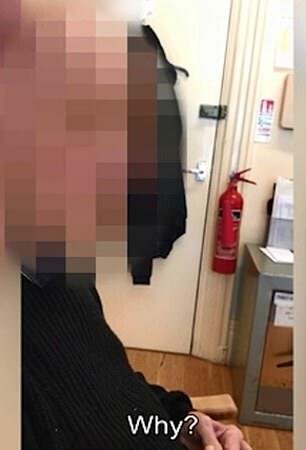 The footage, believed to have been filmed in May 2018, led Lincolnshire County Council’s safeguarding teams to step in to ensure the safety of residents. Organisations which work with vulnerable elderly people said the behaviour of the care worker was appalling. Marie Betts, Alzheimer’s Society services manager for Lincolnshire, said: ‘People with dementia are among the most vulnerable in society and any abuse like this is completely abhorrent and unacceptable. ‘Seventy per cent of people in care homes are living with dementia, and they should be able to do so without fear, safe in the knowledge they will be well looked after. ‘We know that most staff care deeply about the people they support, but good care homes are undermined when people are abused. 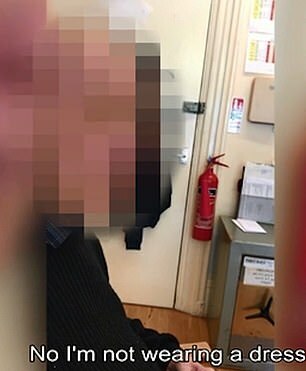 A spokesman for Age UK said: ‘Any abuse of older people is completely unacceptable, whatever form it may take and whoever the perpetrator may be. A spokesman for the home said: ‘Whilst we understand the allegations relate to a period prior to our ownership, we are fully committed to support everyone living at the home. The video begins with the worker asking the resident what he had said to a woman whom he had just been to see him. W: ‘Why wouldn’t you want to eat me? W: ‘Ah, I forgot, you like wearing frilly dresses don’t you?